Could the tires on your Toyota Camry or RAV4 use an inspection or rotation? Or, maybe you are looking into a new set of all-season tires for your Toyota Highlander or Corolla. 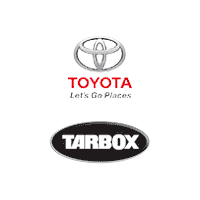 If you drive near Exeter and East Greenwich, RI, then turn to the service department at Tarbox Toyota for all of your tire needs. Our service team of ASE Certified and Toyota factory-trained technicians are here to provide comprehensive service for your Toyota or other make, and that includes keeping your vehicle’s tires in proper condition for safe travels. When you visit our service center for a tire-related issue or any other maintenance or repairs, our service technicians can inspect your tires, and inflate and rotate them if needed. If further tire service or replacement is needed, our service advisors can go over your options, and our prices are always affordable. If after a detailed tire inspection from our Toyota factory-trained and ASE Certified technicians, new tires are recommended, our service advisors can assist you with selecting the right tire for your vehicle, taking into account your preferences, driving style and budget. We offer everything from value-priced all-season tires for your SUV or pickup truck to summer performance rubber for your performance car, so be sure to explore your tire options here at Tarbox Toyota. Local drivers can schedule a service appointment online or give our service advisors a ring for further assistance with their tire service or replacement needs. Our parts and service department staff in North Kingstown, RI is proud to serve drivers near the cities of East Greenwich and Exeter. Feel free to give us a call to (401) 240-4784!